Next time i’ll try a night when the moon is in a waning crescent (nearly full at the moment so alot of light pollution), and will definitely not use the Long Exposure NR (Long Exposure Dark-Frame Subtraction Noise Reduction) setting on the Nikon D90 as it essentially doubles the amount of time you have to wait. 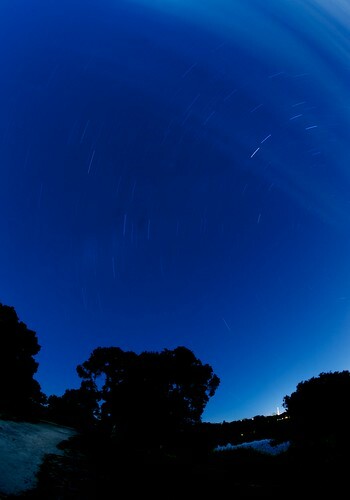 Not sure why Nikon even have this setting on the D90 infact.. a throw back i guess. 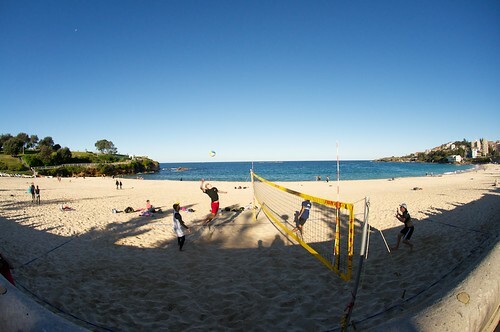 Here’s a shot of some people playing volleyball on Coogee beach this afternoon:.